"Music is a religion, music is god." Never have I heard words that were any truer (at least for me personally). 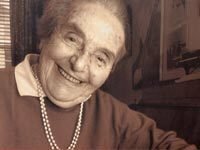 Alice Herz-Sommer will be 107 years old this November. She is the oldest living Holocaust surviver. She has her friends, she has her health and she plays piano everyday. 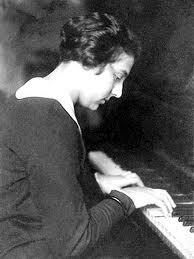 Alice lived in the Theresienstadt concentration camp during World War II. Theresienstadt was used as a Nazi front to show the public the daily lives of prisoners. It was the only Nazi camp where children were kept with their parents and where artists were permitted and encouraged to create. Even though many of these prisoners were starving, they kept on creating. Alice was one of these people. Alice Dancing Under the Gallows is a film due to be finished next year. To follow its progress see its twitter and facebook pages. I want to be like Alice when I grow up. Her love, hope and optimism are truly an inspiration. Follow me in Europe and Africa!